The Commission for Gender Equality will request a meeting with the South African Institution of Civil Engineering to discuss transformation in the industry, after a column by CEO Manglin Pillay about the place of women in engineering attracted criticism from professionals and civil society. In his column "Out on a rib" in the July industry magazine, Pillay quoted from a study by Leeds Beckett's School of Social Sciences and the University of Missouri that women in gender-equal societies choose care or people-orientated careers while men tend to choose careers that orient them to things and mechanics. "To the women in STEM (Science, Technology, Engineering and Mathematics) - you know I am your friend. I wrote you Character Currency, gave you poetry and even sang you songs, so you know I am on your side. But we need to discuss a few things," Pillay wrote. 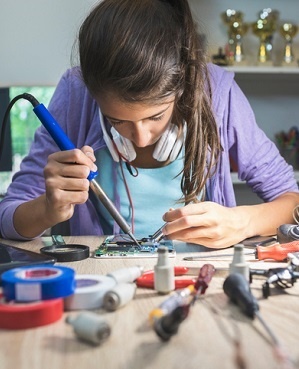 He concluded by questioning whether SA should be investing so heavily into attracting females into STEM as evidence showed women are "predisposed" to caring and people careers. READ: Are women our saviours in a time of meltdown? Spokesperson for the Commission for Gender Equality Javu Baloyi said it would assist the commission if someone lodged a complaint against Pillay, but the organisation will start discussing the issue internally. "Men like them are perpetuating the patriarchal mentality in the workplace," Baloyi said. Baloyi called the SAICE CEO’s comments "reckless" and said other organisations in the public and private sector had been summoned previously to explain their plans towards gender transformation. WomEng, an organisation for women in engineering, said in a statement on Facebook that Pillay’s comments were derogatory, condescending and patronising. "To discount the contribution women have made to this sector is a grave injustice and to reduce us only to caregivers is a travesty," WomeEng’s statement read. The group called on SAICE to "rethink their choice of CEO". Pillay, who spoke on Gauteng-based radio station 702 on Monday morning defended his article: "I’m simply saying we need to have a deeper discussion around it". He added that it was "general knowledge around the world" that women choose caring activities as careers. SAICE's executive board however issued a statement last week on its Facebook page distancing itself from Pillay’s comments. "In this unfortunate article, Pillay’s views in no way reflect the views of SAICE’s membership of 12 000," the statement read. "The SAICE executive board is horrified at the innuendo that girl-children are less in the fields of Science, Technology, Engineering and Mathematics." The board had also apologised for Pillay’s views shared in a magazine, as well as Facebook and LinkedIn, and would consider getting a vehicle for personal views to be communicated separately from SAICE’s official channels.